J.J. Thomson's Experiments - Team Chemistry! British scientist JJ Thomson (1856-1940) was awarded a Nobel Prize in Physics for his contributions to modern atomic theory. * What is a cathode ray? * What is a cathode ray tube? * What does a cathode ray tube look like? * Just for Fun: What are cathode ray tubes (CRTs) used for today? 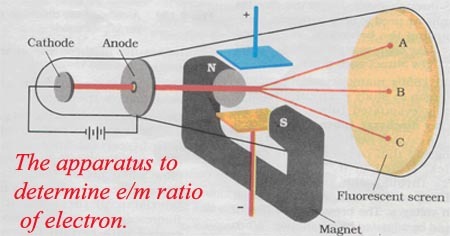 Thomson put a magnetic field around the cathode ray tube. - When the ray was bent, no electric charge could be detected at the other end. This meant that the ray itself was ___________________. -Thomson discovered that the cathode ray was made of particles. What were these particles called? 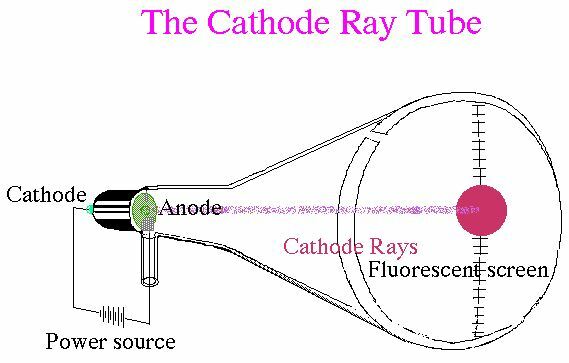 Thomson put an electric field in the cathode ray tube. -Towards which charged plate (positive or negative) did the cathode ray bend? -What did this tell Thomson about the electron? Thompson designed an experiment using magnetism to move the electrons in the opposite direction caused by the electric field. - This allowed him to calculate a charge to mass ratio for the electrons. What conclusion about the electron did he make from this data? - What was Thomson's model of the atom called? - Describe in your own words the contribution that Thomson made to our understanding of the atom. NOTE: This is an embedded YouTube video, so if you are watching it at school you may need your teacher to log in for you.